Own a piece of Leeds History! 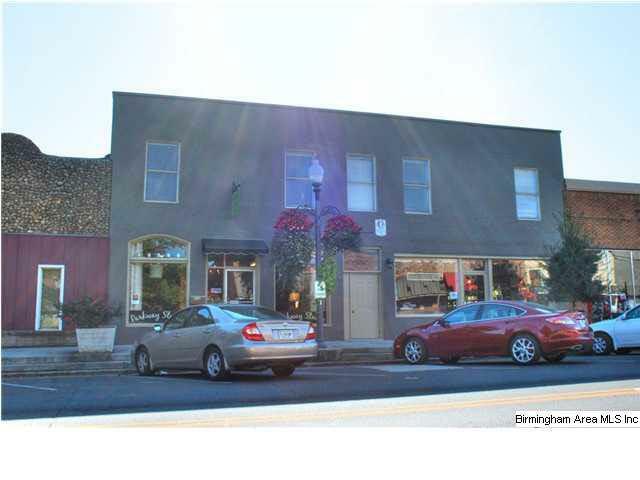 The Sharp-Marsicano Building was built in 1925 and is registered on the Jefferson County Historic Commission lists. The building features two ground level commercial spaces with Parkway Drive walk-in access and access of the alley (with alley parking). Also, the building includes an upstairs space just ready for renovations. Ideally suited for two loft apartments, the upstairs provides a basic blank canvas for your own ideas. Call today for an appointment to view the building. Listing provided courtesy of Webb & Company Realty. © 2019 Greater Alabama Multiple Listing Service, Inc.